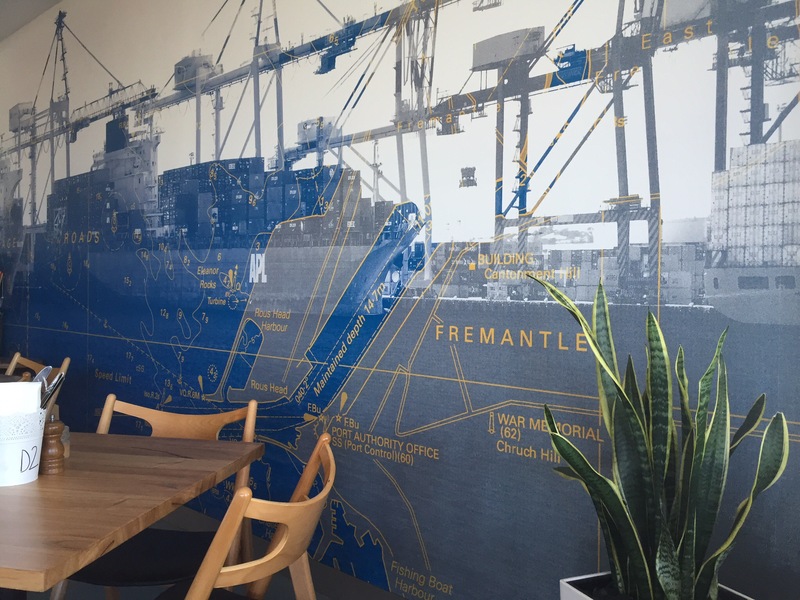 There’s plenty of places for brunch in Fremantle, and one of the newest happens to be The Shipping Lane. 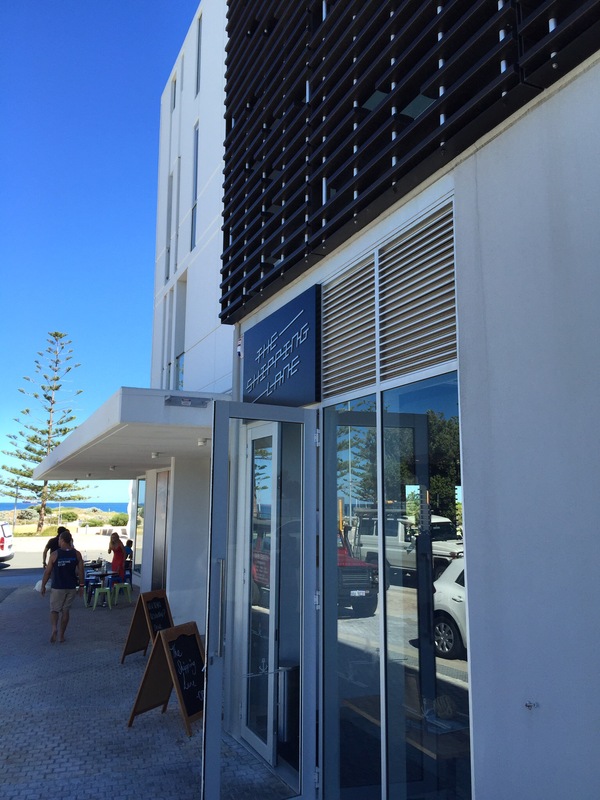 You’ll find it in North Fremantle, fresh with the sea breeze and close to Bib and Tucker. 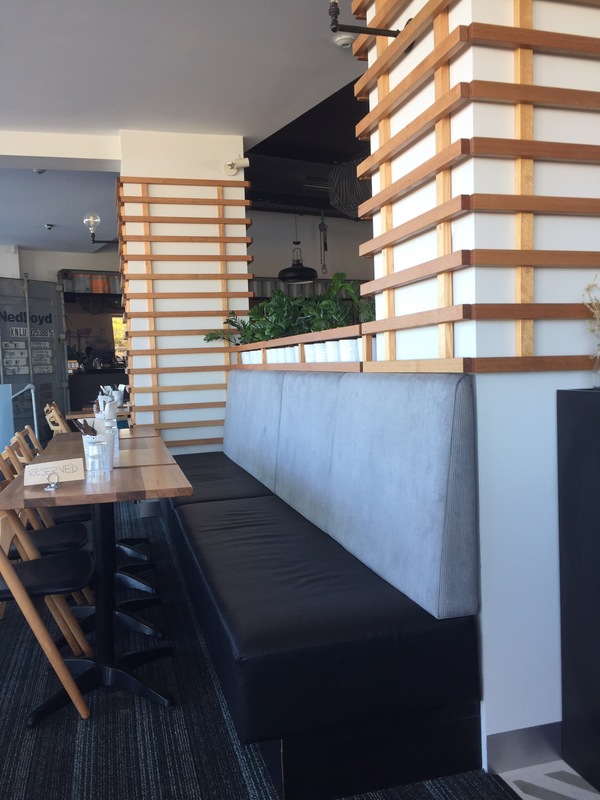 You’re free to take a seat and enjoy the view from the outside tables, or if you’d like a seat with a back you’ll need to wait inside to be seated. You will however need to get up and place and pay for your order at the counter. There was already a large group of people when we arrived, brunchers, beachers, singles, couples and groups all enjoying a beautiful Fremantle morning. We decided to try coffee and juices. Our green juice was okay but it seemed to come from a bottle instead of being prepared fresh, we cannot be sure however. 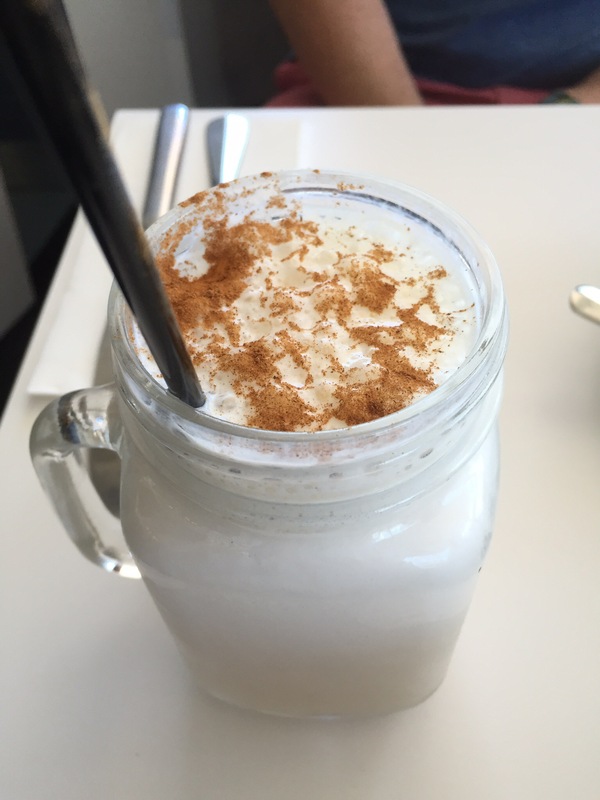 Our banana smoothie was a lot better, light and creamy with a nice cinnamon sprinkling on top. 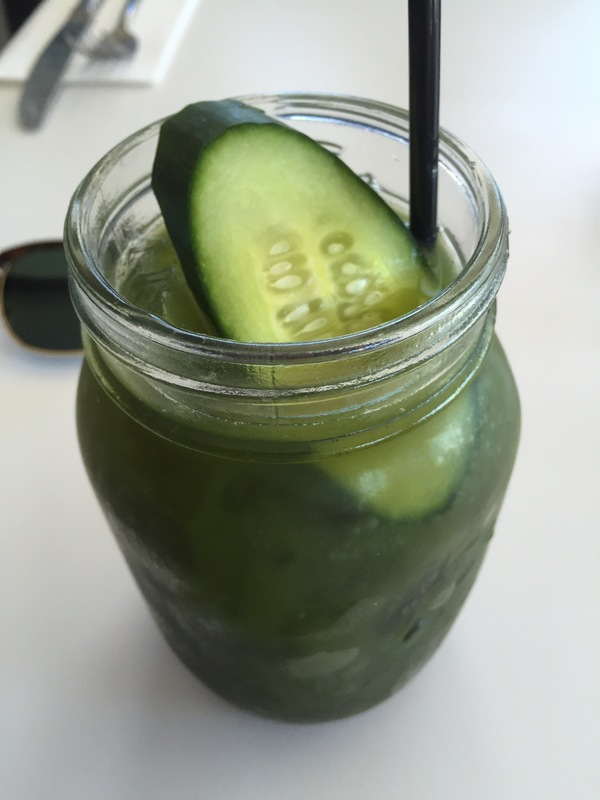 The presentation in a mason jar also gets the tick of approval from us! The coffee at the Shipping Lane was fantastic. It was a mellow, creamy brew served at a perfect drinking temperature. Two coffees down and it passes our second coffee test! 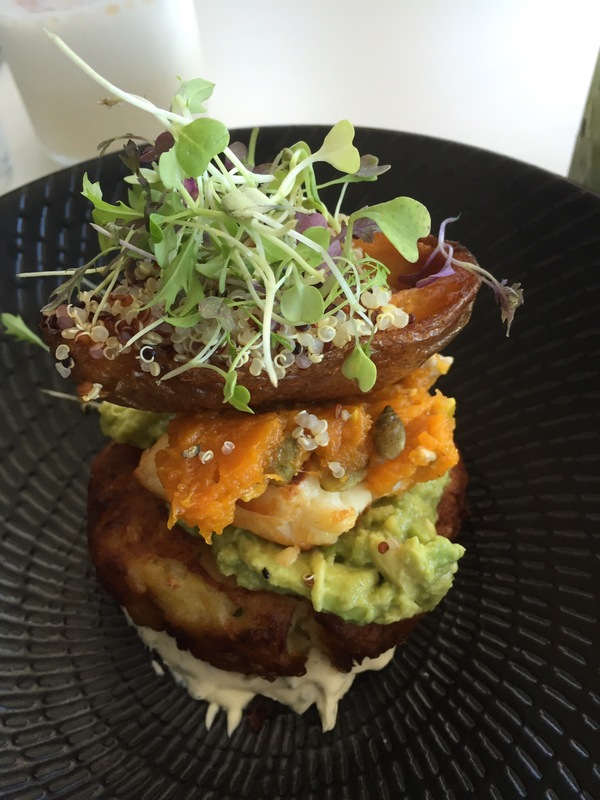 The first dish of our visit was the potato stack, this toppling tower of potato with a pumpkin pesto, sour cream and chives, crispy potato skin, quinoa salad and haloumi. This was a smaller sized stack than we expected but the flavours were spot on. I’m not that keen on pumpkin but in this dish it was sweet with a nice texture. The potato cake at the bottom has the crispy outside and soft inside that you hope for. It was hot and delicious! The potato skin at the very top of the tower had a crispy crunch, though we weren’t really sure what to make of the quinoa inside, it didn’t particularly add anything to the flavour or texture. The haloumi added a nice saltiness, but you really had to eat it fast as it can become rubbery as it cools! This was a tasty and well put together dish, but small for the price you pay! We also tried the Farmhouse, the Shipping Lane’s version of a big breakfast for $24. 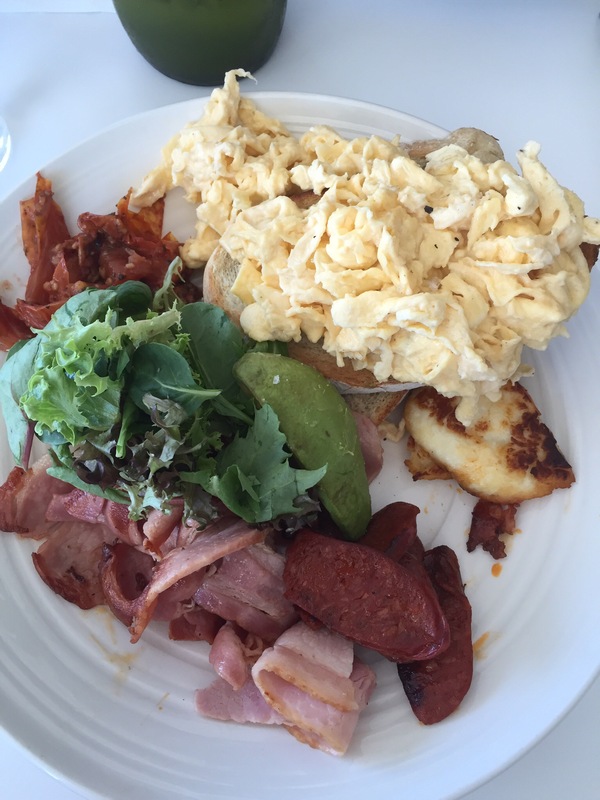 It certainly has a lot of things on the plate, haloumi, bacon, eggs, toast, potato cake, chorizo and a salad. we enjoyed the variety and the serving size was satisfying. 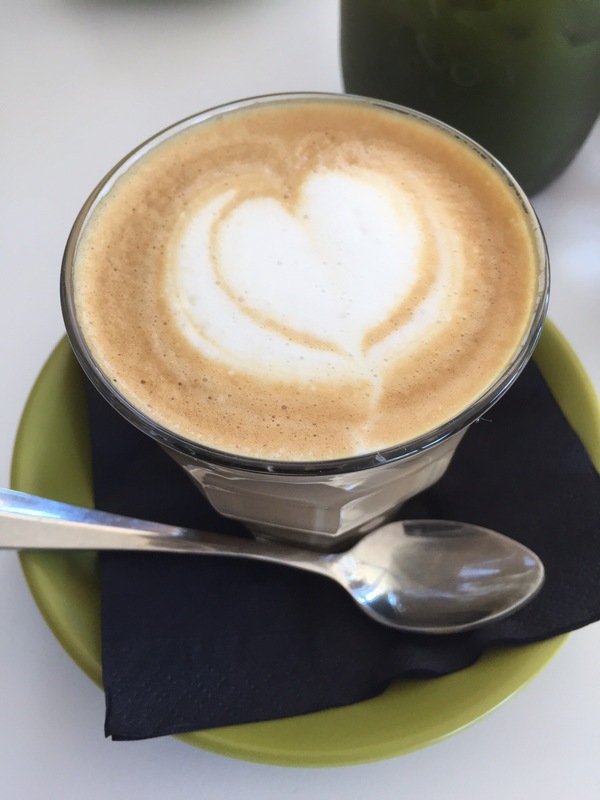 The Shipping Lane is a great weekend escape and another for new venue to add to your brunch list in Fremantle!